Another morning, another argument about changing the toddler’s diaper. All three of my troopers headed off to school! They are such great kids! I headed to work and upgraded the fire alarm. That pissed William off because he’s just like that, I guess. Hetal went back to work! 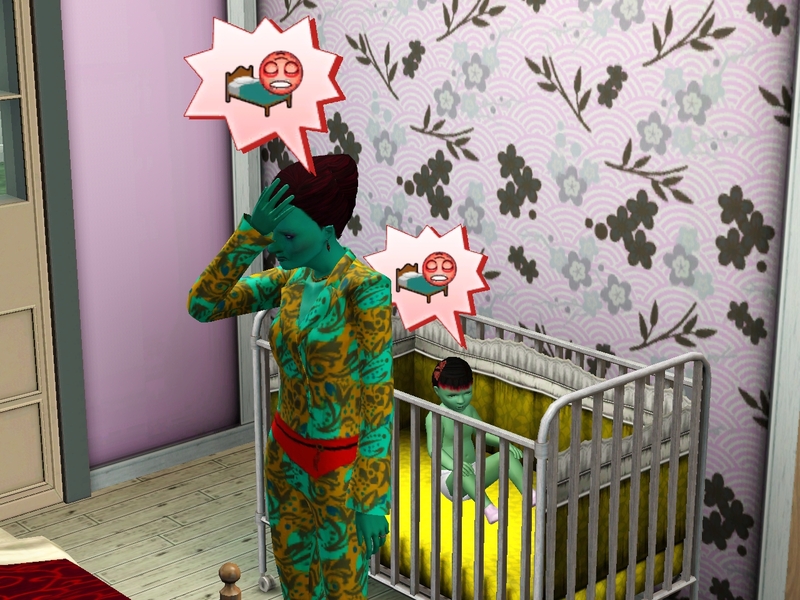 She’s been out forever on maternity leave, and she was really nervous. She shouldn’t have been. She did so well that her bosses said they wouldn’t fire her after all! 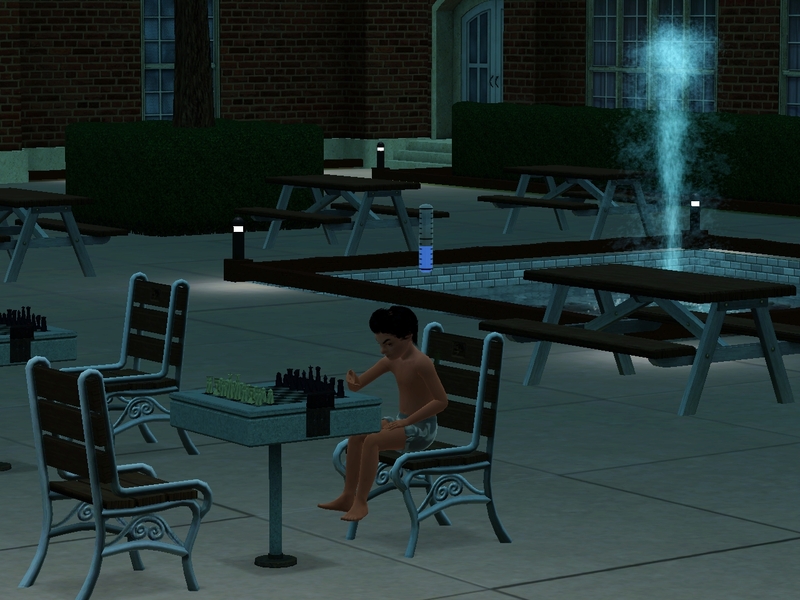 Jin took over again as primary child care during the work day. She had a bit of trouble getting back in the swing. 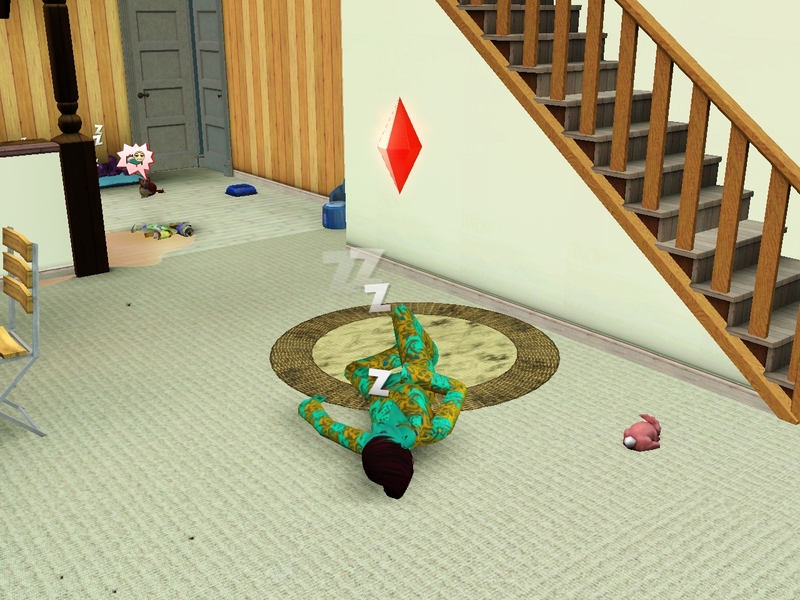 But eventually she remembered how to sleep when the baby sleeps. Branden’s class went on a field trip to a medical research facility. 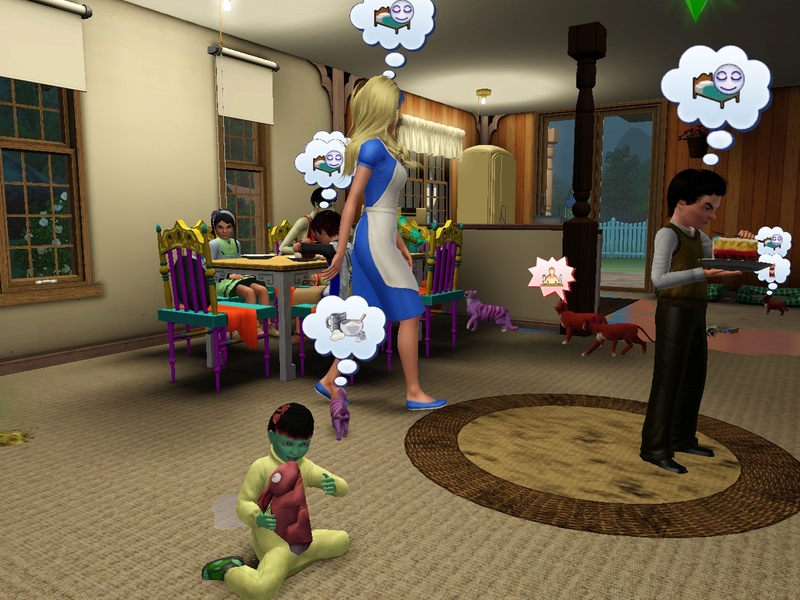 It really seemed to get him thinking about his future. After that trip, he acted like he had a new sense of purpose. Christof made it home on the bus. 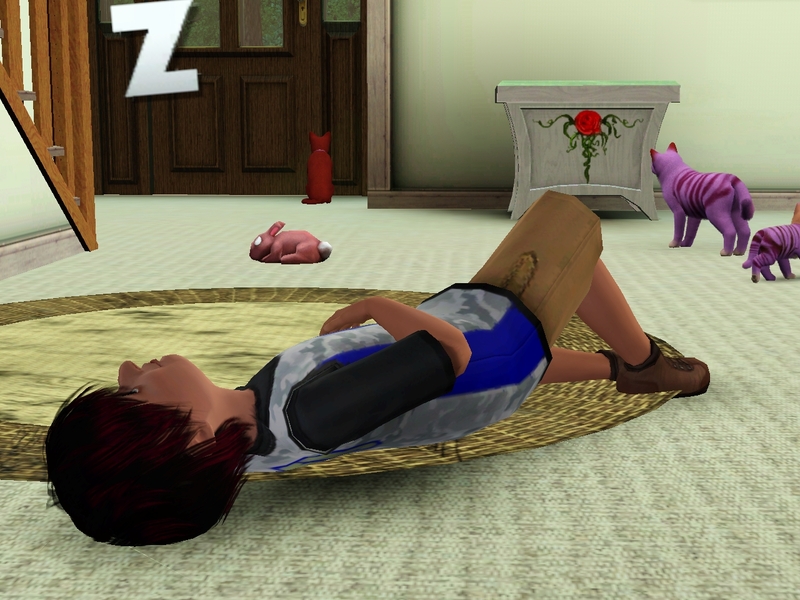 But then gravity was too much for him. He would have had a better time if he hadn’t been up all night looking at comic books. 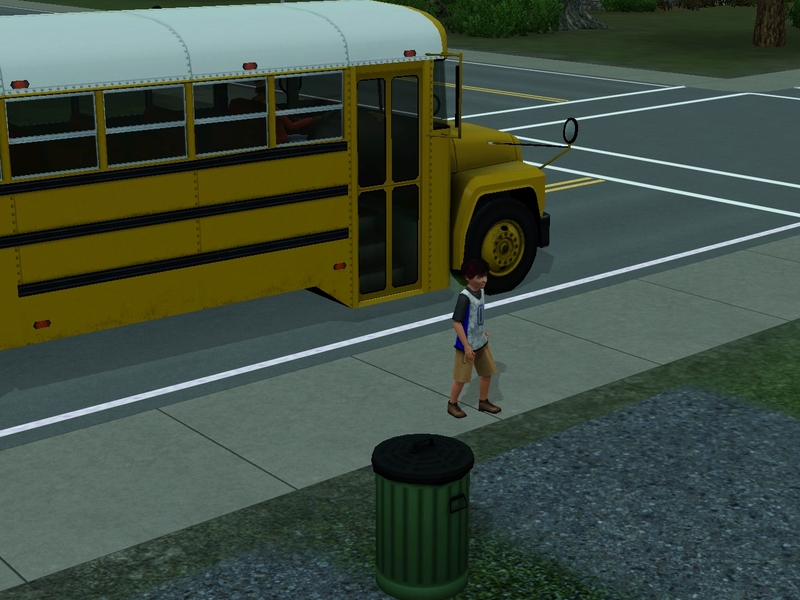 Caitlyn didn’t bother with the bus and came sprinting home like a springtime fairy. Branden didn’t bother to come home. 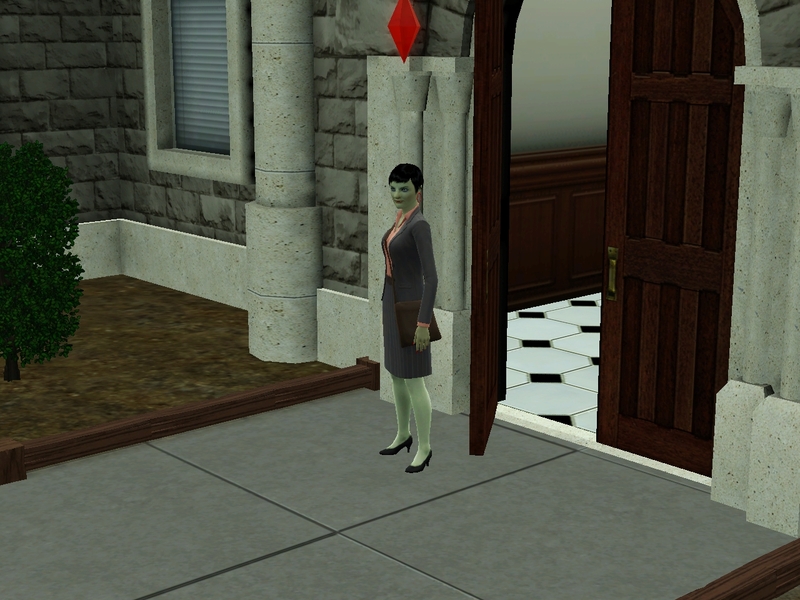 I came home early from work so that I’d be waiting when Hetal came home. I sent her off to take a nice relaxing bath while I got ready for her birthday celebration. I don’t seen too many wrinkles. Do you? Everyone sat down together to have cake except Branden. I really don’t know what to do to draw that boy out of his shell. When we finished our cake, I slyly suggested that everyone head to bed early. That gave me a chance to give Hetal her big surprise! Hetal bounced on the cushions a bit, then she patted the mattress beside her with a gleam in her eye. “I think I can show you how much I like it,” she said. There was a surprise for the whole family too. I dug a fish pond in the back yard. It was mostly for Jin, since she longed to fish and never got a chance to do it with the kids so demanding. It also made the place seem a little bit nicer, since it’s so cramped for our big family. So far, it seems like the kitties like it best, though. 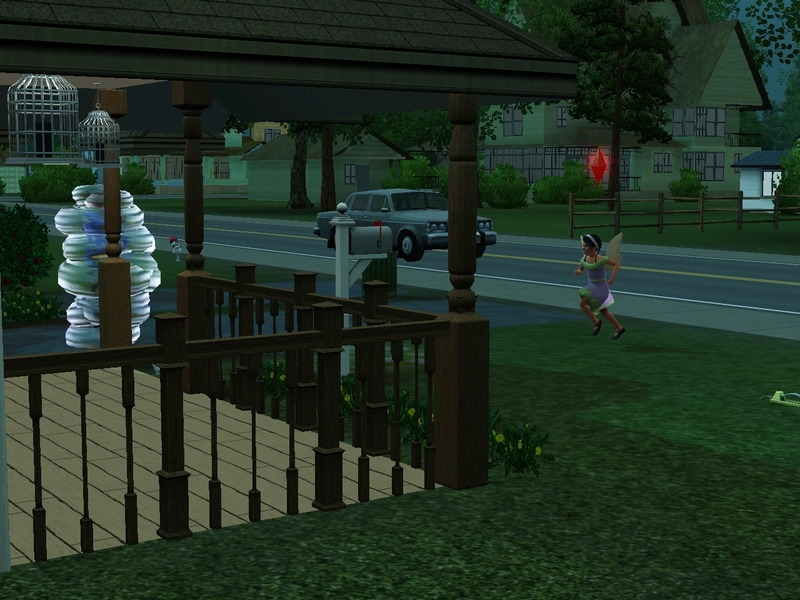 Jin did jump at the chance to show of the lovely pond to her old friend Carmela Hai, who happened to be walking by. Looking at them together makes me wonder if I’ve been looking in the wrong direction for Hetal’s dad all this time. Unfortunately, the cake didn’t sit so well on her stomach after she spent too much time cleaning out the kitties’ horrendous-smelling litter box. Poor dear. Fortunately, it didn’t last long. She was right as rain in no time. 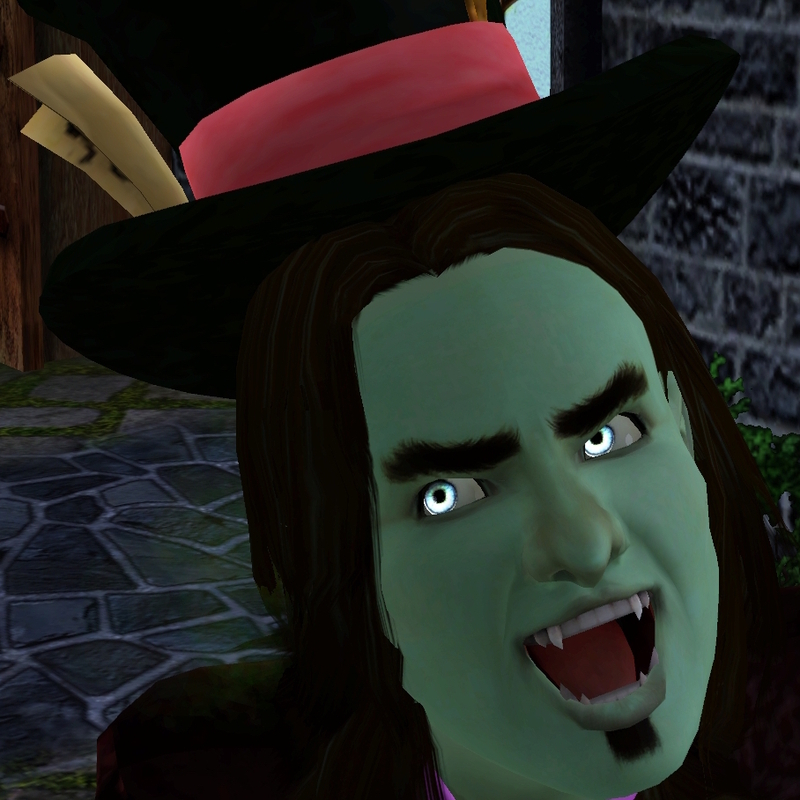 I freaked out and checked Hetal’s moodlet panel, and it was totally nausea from the disgusting litter box. I seem to have managed to fail to a take a screenshot of it. 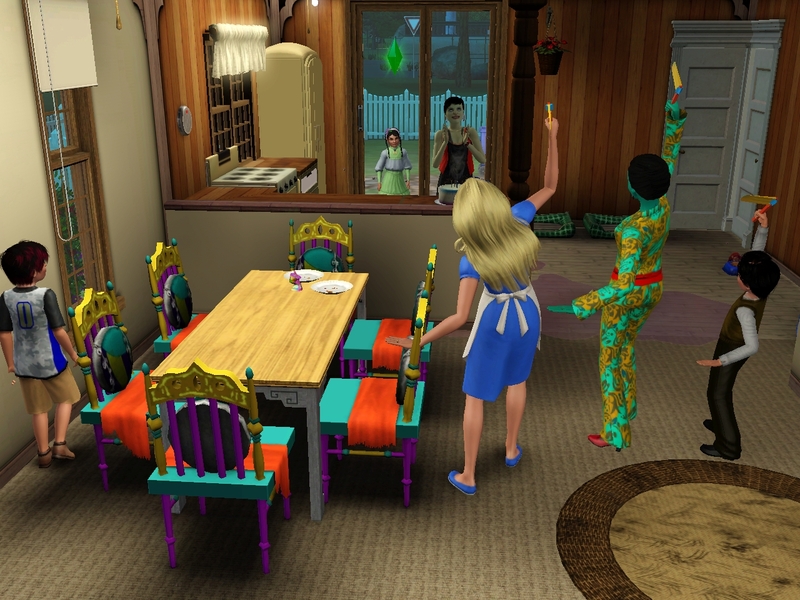 I failed to mention that I couldn’t get the Wonderlands out of poverty to the point where they could actually afford to move, and then I remembered the Allison had stacked up a nice collection of happiness points. I bought her the family inheritance. That finally got them back on their feet. 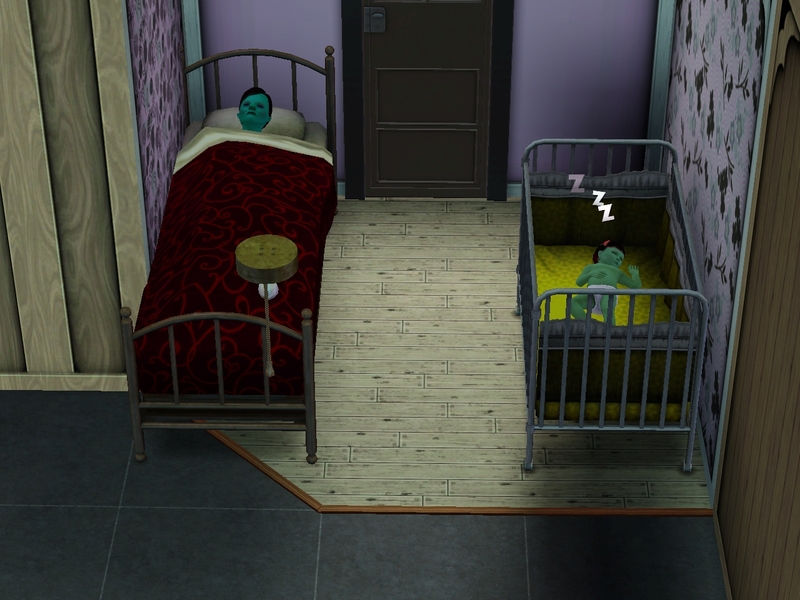 Instead of moving houses, I got the overworked couple a bed with sleep value 10. Now they can sleep a shorter time and wake up more refreshed. Woot. Annoyingly, ALL the bunk beds have sleep 4, no matter how fancy and expensive they are. WTH, EA? 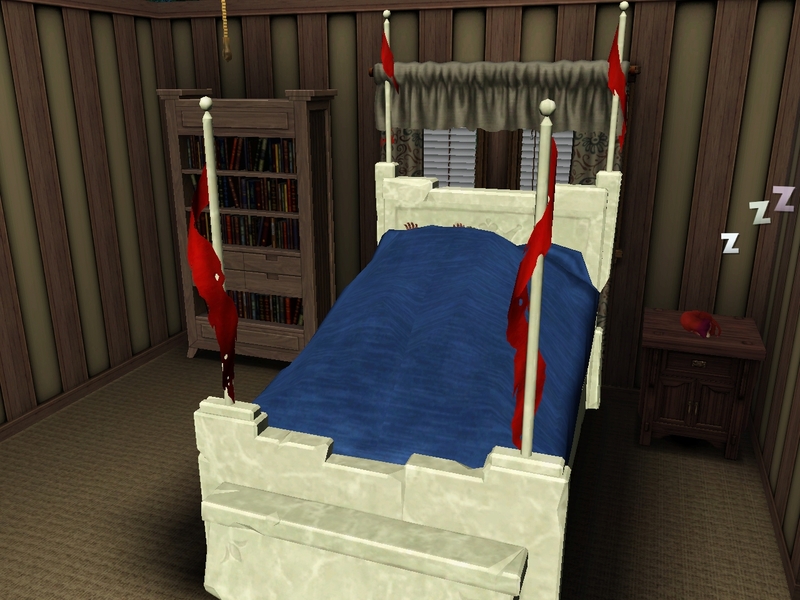 I’ve been looking for a mod to change this, but the only mods I’ve seen are the ones that give all beds the same sleep values. Maybe I’ll just go with that and buy them expensive beds to compensate. One reason I wanted to move was because Jin and Deanne are both Anglers, and I wanted them to have a way to fish on autonomy. Plus it could generate a little bit of idiot income. When the move crashed and burned, I gave up and added a pond to the property. 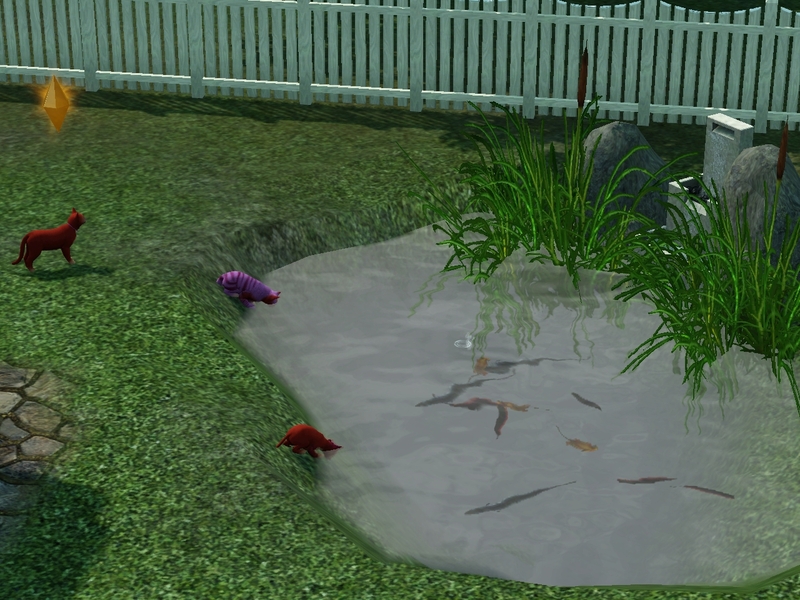 To date, nobody has ever fished in this pond, even though Charles would wander off and fish the instant I left him on autonomy. This is a much nicer birthday celebration for Hetal than the one Allison dreamed! I'm also impressed that all of the kids went to school. I can hardly get more than one of my idiot children to go to school on any given day. Heh. No, seriously. 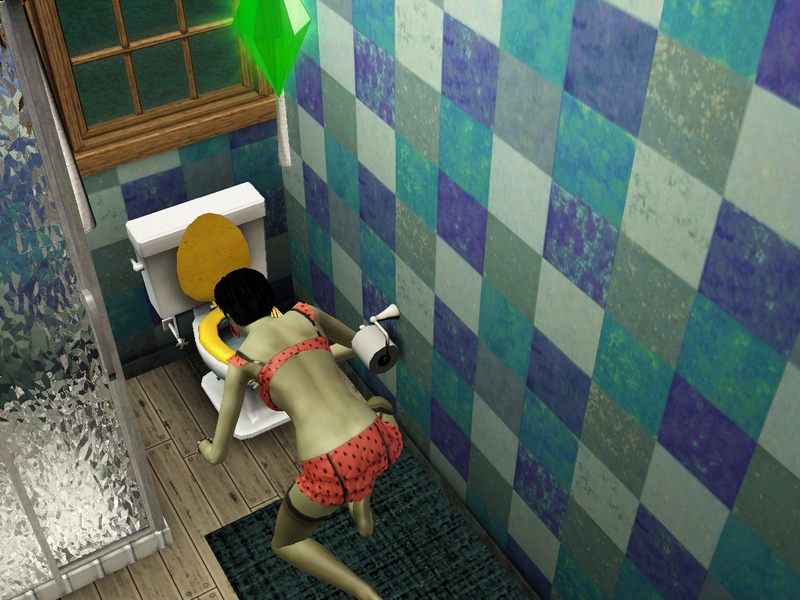 The nausea moodlet said it was from the litter box. No "unknown causes." I swear. I've actually had incredibly good luck with the kids going to school. They'll stay up all night and go to school with their sleep motive totally in the red, "learn" for a couple of hours, and then leave the school to pass out on the lawn. Caitlin and Christof have gone to school every single school day, and only in today's play session did they get school performance above neutral. I'm going to join the consensus and state that I'm glad that Hetals "non-imaginary" birthday went off without a hitch. The real question is, will Brandens? I LOVE that bed! Where did it come from? Thanks! Glad you liked the pond. I'm a pretty lousy builder and landscaper, so I usually don't do much myself. 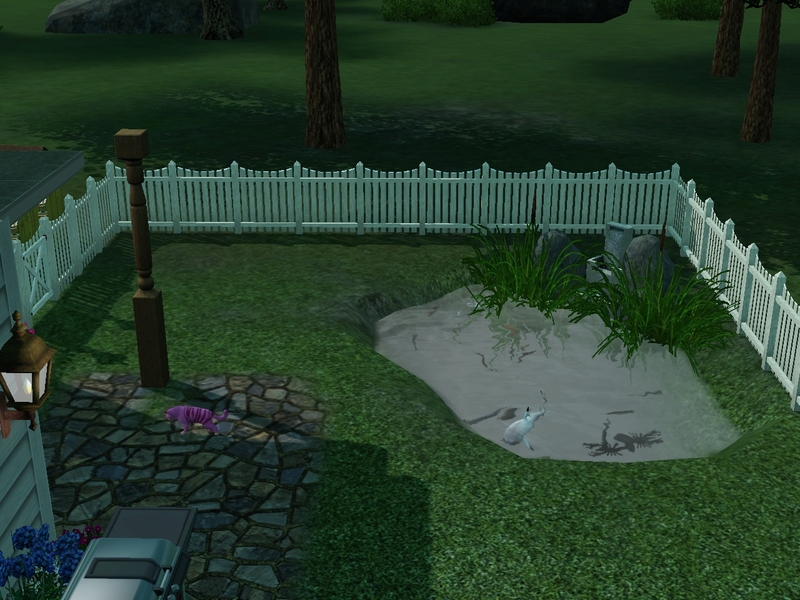 The cat's are drinking from the pond, that's why they're so close. The animation isn't very precise — sometimes they have their whole head underwater. It turned out that having a pond had an extra benefit. 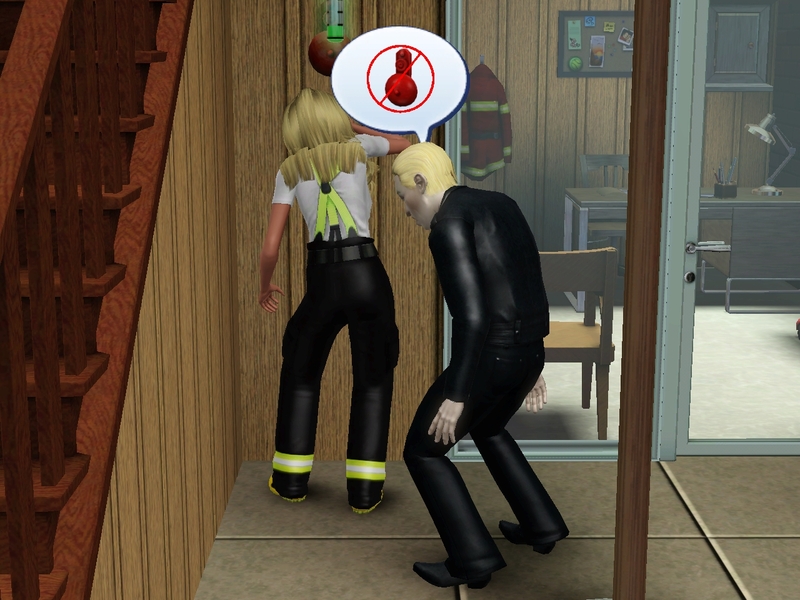 The cats can drink from it to fill their hunger motive if nobody fills up the food dish. Hee! 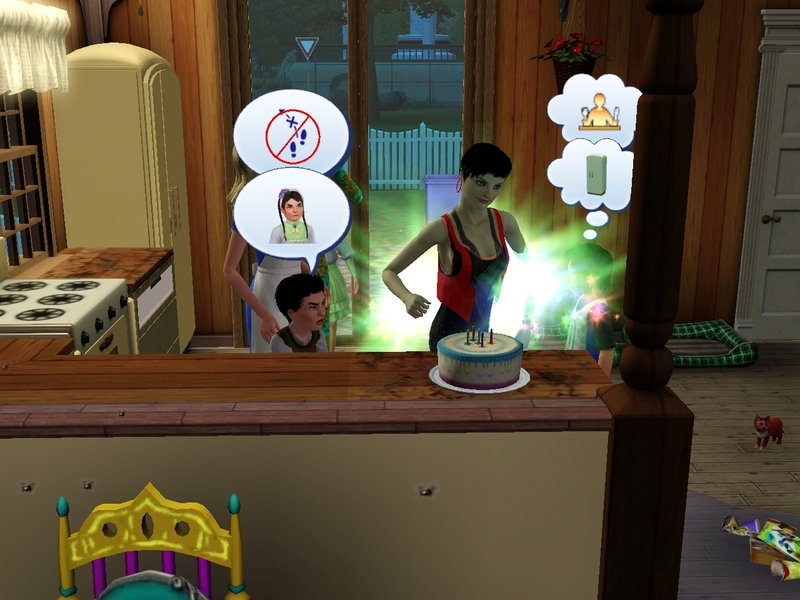 Well the PLAN for Hetal's original "dream" birthday was that the whole family would move to the house and Hetal would get her cake in the new kitchen. 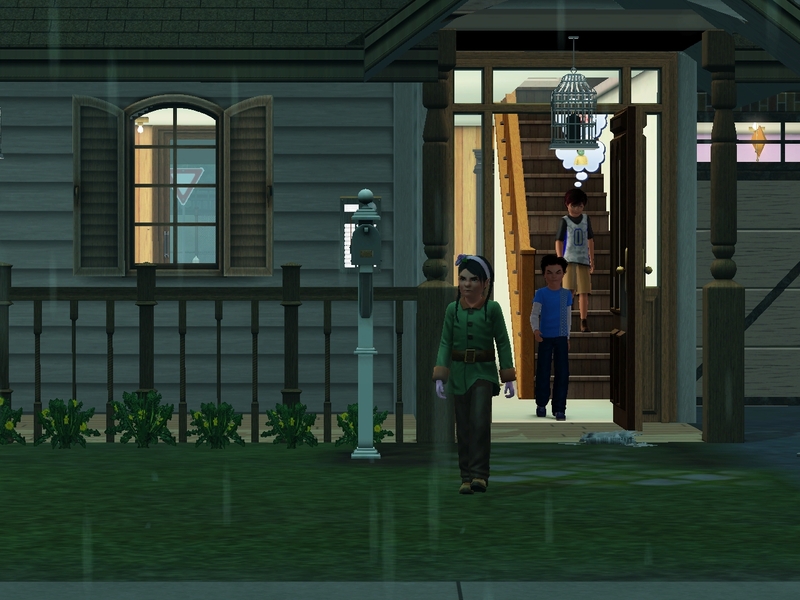 But since Allison inexplicably decided to walk there, it took her hours, and Hetal aged up standing in the driveway while all the idiots were waiting. I figured that the dream would serve as a warning. I also have both chairs, the bookshelf, the teddy knight, and the unicorn statue. 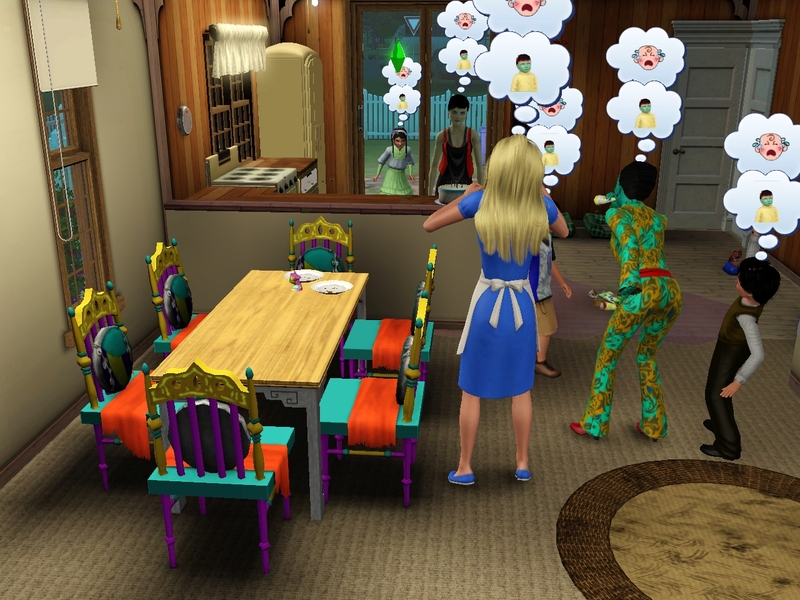 I wish I'd gotten the dining table. 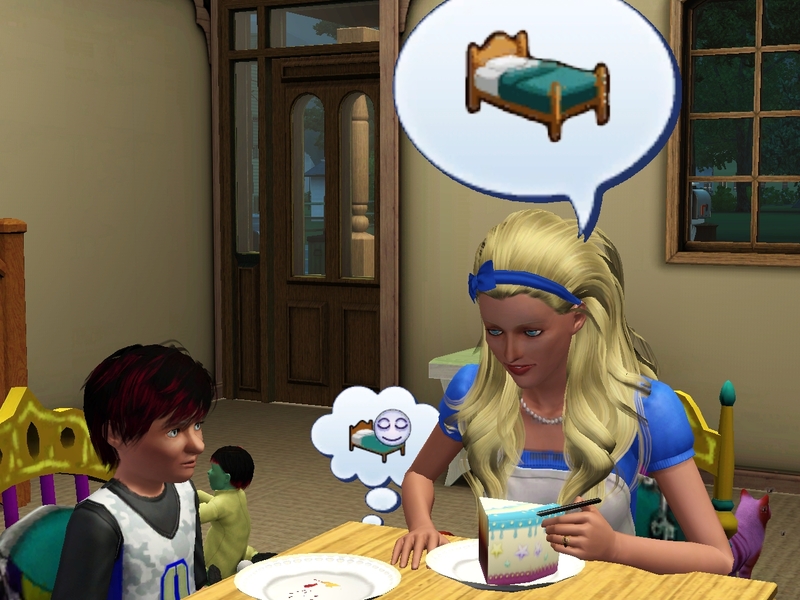 I have that "beds all have the same energy" mod, and it's one of my favourites. Such a stupid idea to say that cheaper beds mean you have to sleep longer. Uncomfortable is understandable, but not the longer sleep. So I fixed it 🙂 Though yes, it is absolutely ridiculous that the bunkbeds all have the same values, some of them cost over $1000! I think the best value cheaper bed is the horse one from Pets – it has 6 value when a whole bunch of the others around the same price have 4. 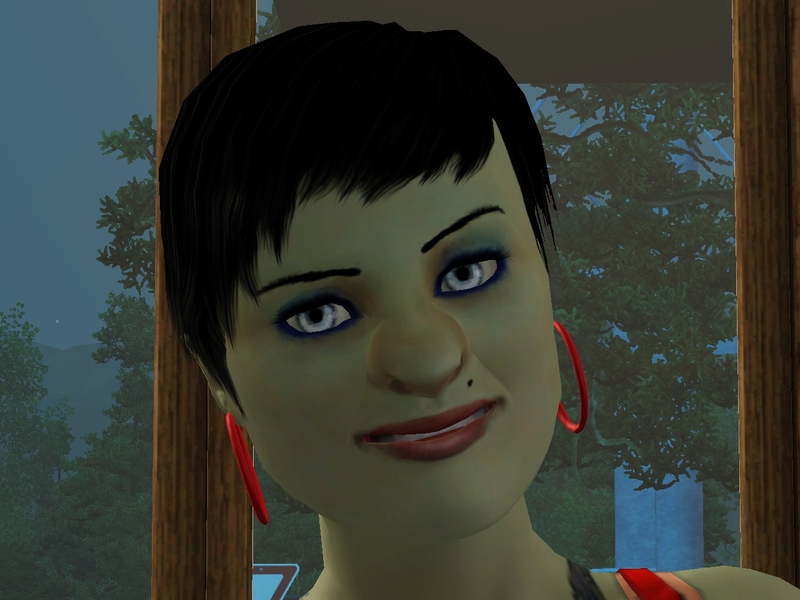 That Adult picture of Hetal shows what a cool face she has – even though I can see the angry eyebrows, they work for her. I have that mod now. I didn't have it then. I like the idea of more expensive beds providing more benefits. 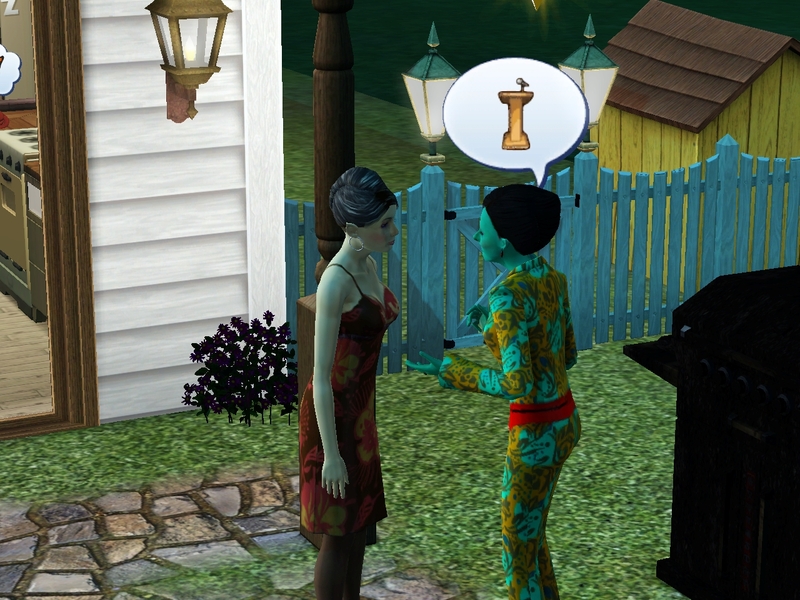 That's kind of a core to the whole materialistic game mechanic of Sims :). I don't like that the items don't actually MATCH that. Really expensive things have the same stats as really cheap things. And when you get really wealthy, there are almost no single beds with comfort of 8-9 and none for 10. Hetal looks wicked, but in a good way. I thought she added really fun genes :).